At Downtown Dental, we believe that prevention is the most important element of dental care! For many of us, there has been a time when our dentist has talked to us about our oral hygiene. 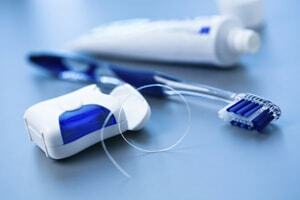 Some of us need to brush more often, others need to be more diligent about flossing and maintaining gum health. The best prevention of costly dental procedures and emergencies is the development of a solid dental hygiene routine from adolescence and throughout life! Without regular visits to a dentist, conditions that begin with simple solutions can “snowball” into more complex problems with complicated and costly solutions. Your dental health is our top priority, and your Charlottesville dentist is eager to help you to maintain regular dental care maintenance. Everyone can create and maintain a healthy and pain-free smile. The American Dental Association (ADA) recommends visiting your dentist at least two to four times per year. Routine dental checkups provide necessary cleanings to eliminate plaque or calculus that your toothbrush cannot reach, helping to prevent tooth decay. Routine dental visits also help your Charlottesville dentist to quickly identify dental emergencies like oral cancer before symptoms are noticeable. Studies have also discovered a relationship between periodontal disease and its effect on the circulatory system – your heart, kidneys, lungs – and other bodily systems. If you think of the mouth is the gateway to the body, you begin to understand why protecting it protects you! Your dentist may recommend sealants. Some permanent teeth have deep grooves and pits. These areas are more susceptible to decay, since food can easily get caught in areas where the toothbrush can’t reach. Sealants are a protective coating that cover the grooves and help prevent decay. 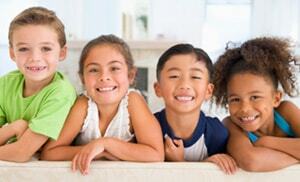 Sealants are particularly important in children, who typically enjoy sweets but not brushing! Downtown Dental makes your dental and physical health our top priority. We are delighted to welcome new patients at our state-of-the-art dental office. For your convenience, we accept a variety of dental insurance plans. We hope to meet you soon!